Whether involved in divorce, adoption, child custody or child abuse allegations, the Law Offices of Bonnie E. Saltzman understands the sensitive issues you’re facing. We know your family’s quality of life depends on the outcome. Assisting clients in making the right decisions, we offer close to two decades of knowledge and expertise in family law. Listed in the Martindale-Hubbell Directory Bar Register of Preeminent Lawyers, Bonnie E. Saltzman is distinguished in the practice of family law. She has attained the Martindale-Hubbell “AV” rating, which reflects the height of professional excellence and recognition for the highest levels of skill and integrity. Clients look to our law firm for legal advice based on competence and proven experience you can trust. Not only are we happy to answer your questions and fully explain your options, but we also sincerely care about your future. To discuss your concerns, please fill out the quick contact form and send us a message. 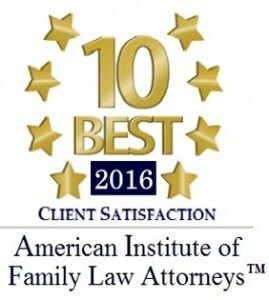 Colorado Attorney providing legal services in Family Law including divorce, adoption, stepparent adoption, child custody, child support, juvenile delinquency, juvenile, abuse, neglect, visitation, grandparent visitation and post-decree. Serving Denver, surrounding cities, and clients throughout the United States.